And Get on to the Fun Stuff as soon as possible. …Even if the task is Gruelling. 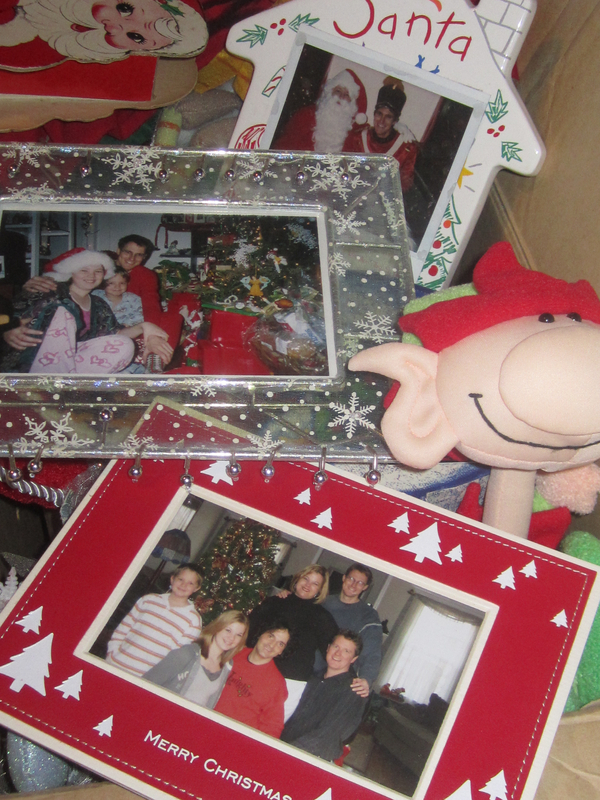 Play some Christmas Music… Why Not? Maybe there’s a New Christmas CD we were given as a Gift this year, or an old Favorite to which we didn’t have time to Listen during the Busy Season. Sip some Warm Apple Cider or Holiday Tea. 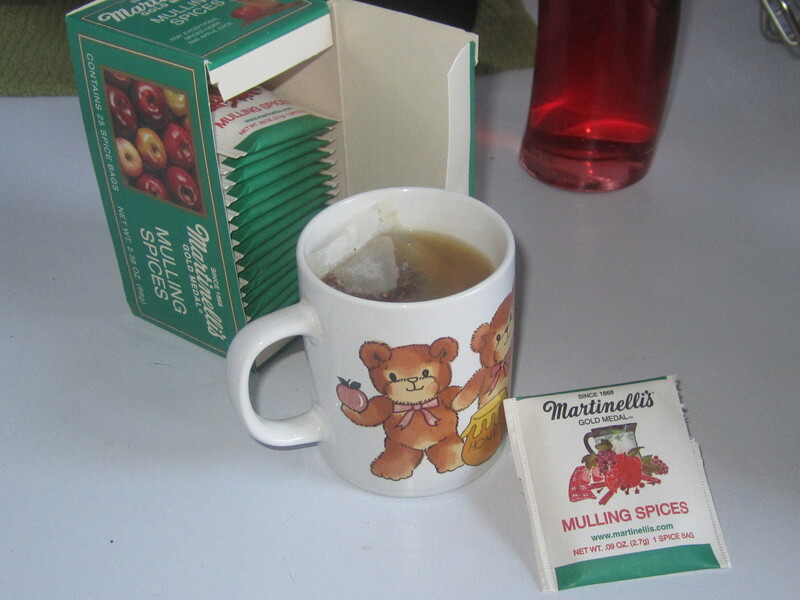 So you can warm up some Apple Cider in the Microwave and then place the bag in to steep… Yum! If you make sure Everything is Working when you put it away this Year. We have a set of Green Wire Lights which we began dissembling for Replacement Bulbs some years ago. 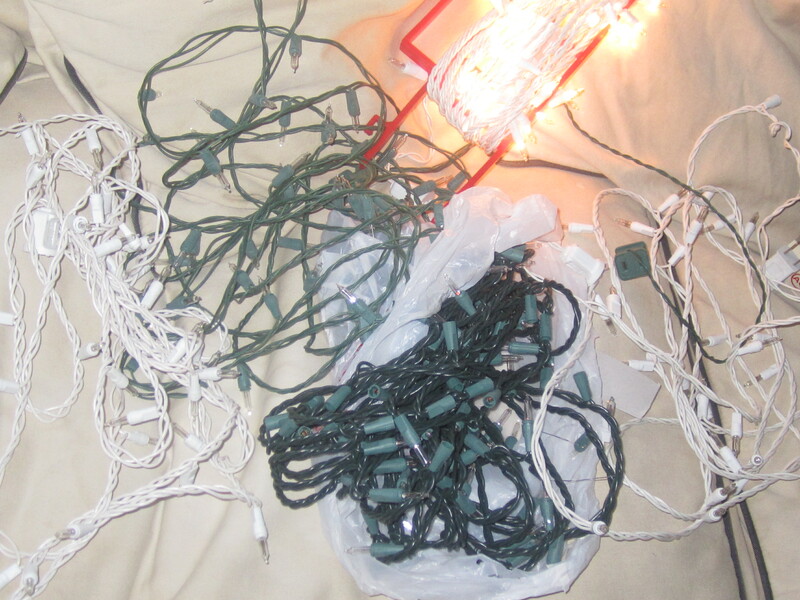 Before putting it away this year, I tried plugging in an additional fifty bulbs and unfortunately, still could not get it to work. 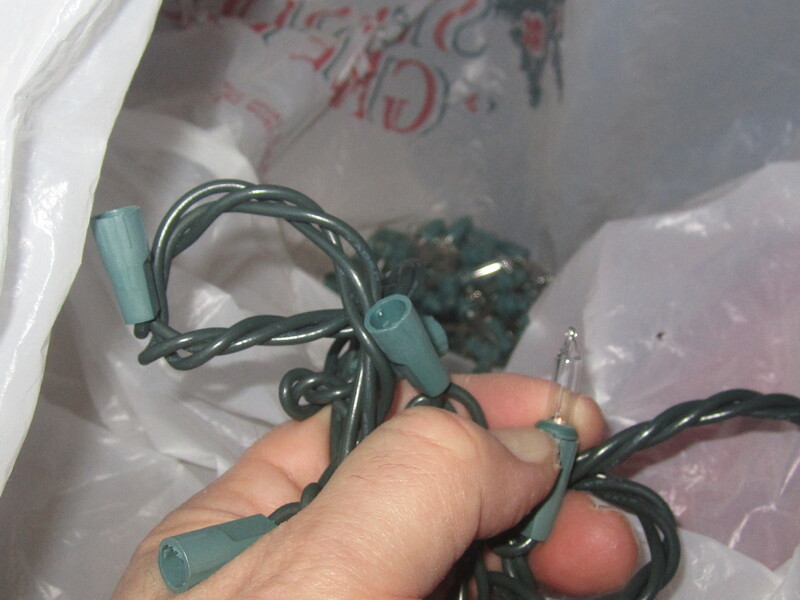 So, I then removed all 150 bulbs (which took some doing as the plastic bulbs do not come free from their bases too easily) to create a bag of usable replacement bulbs, and discarded the wire. This added an extra hour and two broken fingernails to my workload. But having the patience to do it gave me in return a bit more storage space in the Lights Bin, and a plethora of replacement bulbs to use in the other Healthy Sets. …These Gifts and Treasures of the Heart can only be revealed if we work without resentment and are Present to the Task at hand. 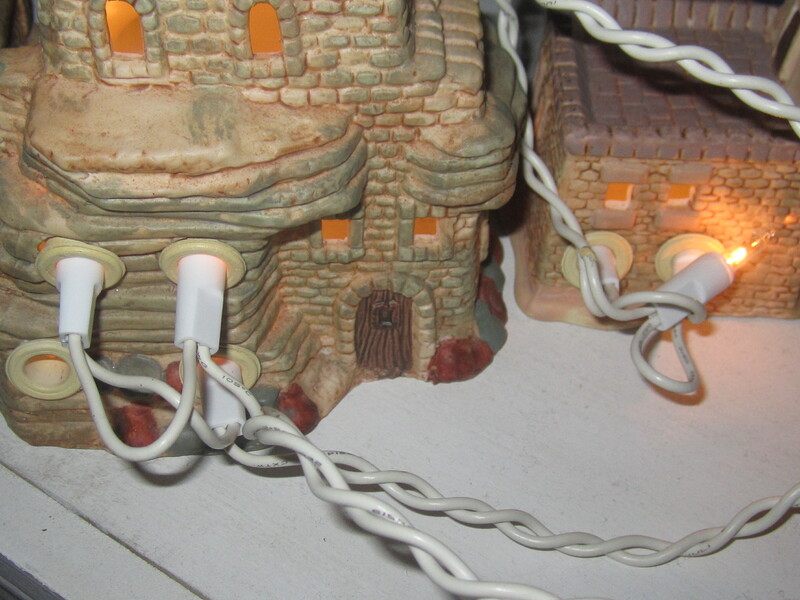 This Lovely Little “Little Town of Bethlehem” Set came with a set of lights that had the exact number of bulbs needed (some twos, some fours), spaced the perfect distance apart on the wire, measured to be placed in the back of the small porcelain houses. The Lights have faded over the years. 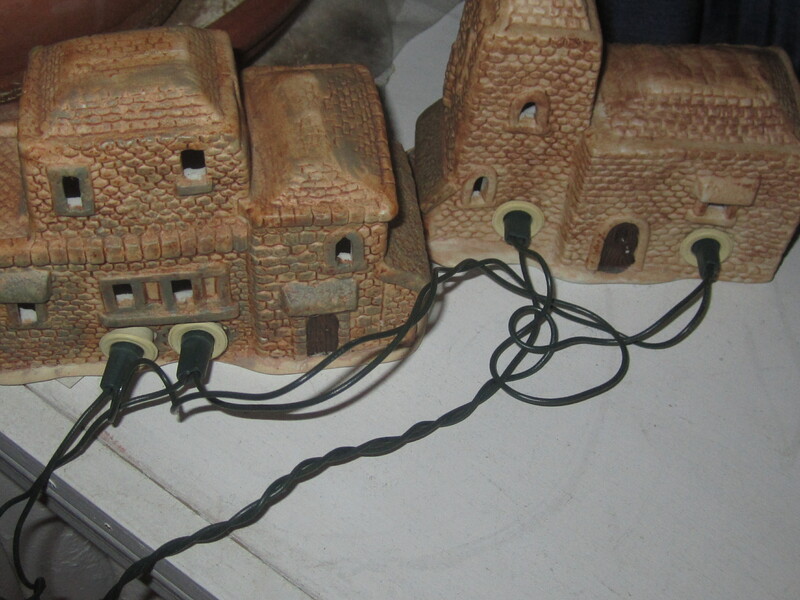 A year or two ago, I found a light set designed for a model village display that had exactly three bulbs separated every foot or so by a length of wire. This year, the Bethlehem Lights finally went out. I replaced the lights before I put them away, with the new set, imperfectly measured. Also, Brighter and More Beautiful than it has been in years! Even in the most daunting and unpleasant tasks, there is So Much to be Learned. This is such good advice. 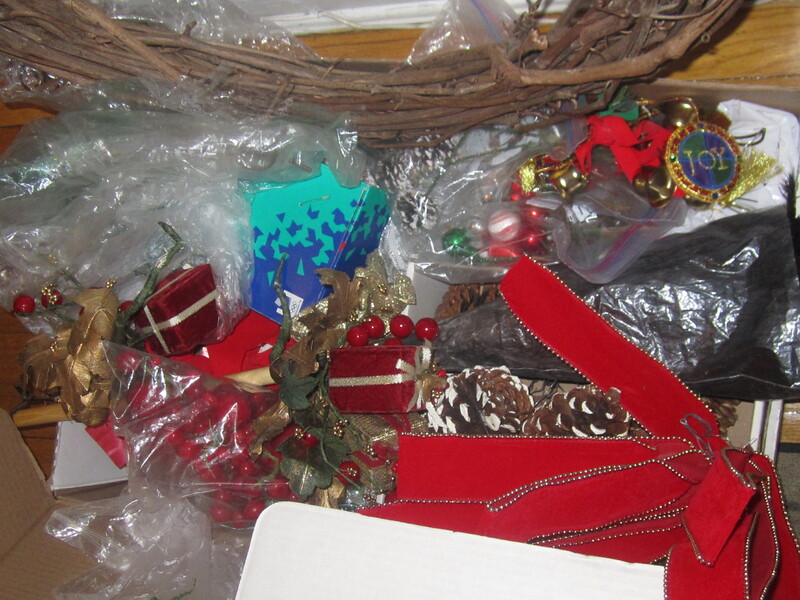 I approach the un-decorating with dread every year, but if I change my perspective, I can change the entire experience.